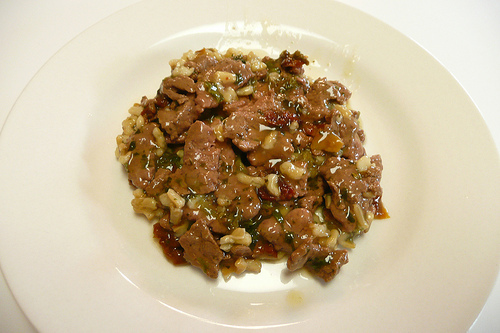 This post is filed under Cesar Bistro, Cheek, Hall of Fame (Taste), Steak Tips, Tongue. Hilarious! I love the chasing bit at the end. But…damn. Why do people not realize things are a joke? Hilarious. We find our pets like the gravy better than the meals most of the time, so glad to hear there is lots of it! I’m actually disappointed. I might try this one day. That food looks too good for dogs. Absolutely hilarious! Well done, sir! I would love to know if anyone has ever actually tasted that stuff. It…well, it doesn’t look that bad. Tell me…. seriously….. you know this is dog food? right? So whats wrong with eating dog food???? are you trying to prove with this blog that food photographers are better, well,, photographers than you? For dog food, the same food-laws are applied to (same for cat food etc). At least that’s the way it works in germany. So yes, you can actually eat this without getting sick. You people are awfully dumb. Did you not read the taste review? I know it’s a joke but… Did you eat it? Hint: read the tags at the end of the piece. Right there, see? 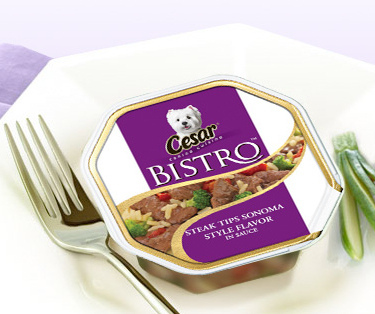 : “cesar bistro steak tips tongue cheek”. Some jokes are just too subtle for readers. Damn it I think he was. I was SO happy for a moment that somebody ate dog food. Figures it probably isn’t true. My week is RUINED. you were doing sthick right? You do know that was dog food? DOG FOOD. YOU ATE DOG FOOD. BAHAHAHAHA. Goodness. This reminds me too much of a container of cat food. Dude this is dog food!!!! No way! Are you serious?? I had no idea! haha people like ‘shrek303’ are f’in morons. or they themselves are too dense to pick up a joke. indeed well written post + great blog. it’s a little too all over the place.. seems like it could/should be broken into ones you make yourself and those served.. i personally find the fastfood series the most interesting – since someone else had to try to present it like you see in the picture. but great idea! You know this is dog food right? Love is not about finding the right person, but creating the right relationship. It’s not about how much love you have in the beginning but how much love you build till the end, coz love is all there is. Oh dogs are so stunning, i wish i could have my quite family of dogs. It would make my day time each day to determine them have enjoyable. Look at all these morons thinking you’re actually serious and asking if you actually ate it. Good blog, though. I like the “tongue” and “cheek” tags. Very clever. Preaching truth to packaging. Pictures of packaged food, cooked to specifications, compared to the photo on the box. © 2009 Food In Real Life. All rights reserved.